The Purrfect Job just got another award! 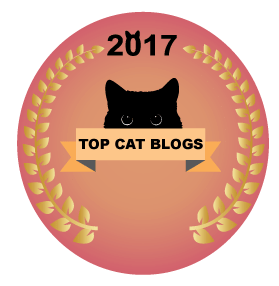 I have been included on the list of Top 35 Cat Blogs by We’re All About Cats! Thank you so much for the honour! I will continue to work hard to provide interesting cat contents on this blog! You might also want to check out the other blogs on this fabulous list, there are so many interesting blogs waiting to be discovered! Cat sitter on holiday – France! Congrats! We did too but we don’t always pay attention to these anymore. They seem to just do google searches and add whomever pops up, or they add them based on comments people leave on blogs. These “awards” are designed for them to gain traffic from us sharing them. Haven’t decided if I am going to share or not……….